As apparent from videos taken by helicopters circulating above the plant, emissions have not been going up they have been rolling down. This is called ‘building wake effect’ causing ground level radiation. According to Gundersen it is clear high ground level radiation exists in the area around the nuclear plant and in his view, this area will not be suitable for people to inhabit for a long long time. Significant contamination levels 40 km around the plant are high. According to IAEA data published on 22nd of march, background radiation in this locations is 1600 times higher then normal background radiation. According to Gundersen this is coming from a cloud of gases hanging over this area. This clouds contain noble gases like Xenon (Xe) and Krypton (Kr) emitting gamma rays and causing exposure. Those tend to decay into other isotopes like Strontium, so even when they are gone, what they leave behind gets deposited on the ground and take a very long time to decay. 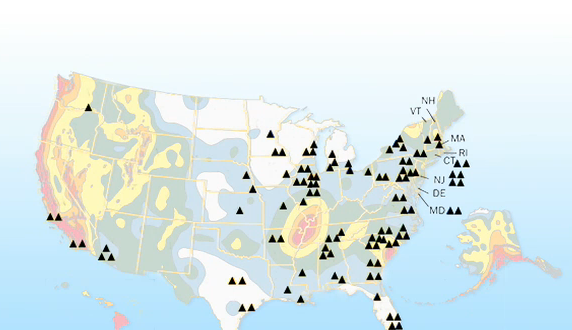 Radiation levels how are they measured and what does it mean? When Uranium splits, it makes daughter products, which will go on to split and decay too. In the process of disintegration they emit radiation in the form of Gamma ray, Beta particles and Alpha particles. When these particles decay, they give off or radiate energy, which can get absorbed by the body. That can cause cellular damage, like cancer, particularly in fast growing cells of children. Gamma rays are the first radiation that is emitted by Nuclear power plant. Gamma rays radiation have very high energy, more powerful then X rays. When you hear in the news talk of radiation levels this is a measuring of Gamma Rays radiation emitted by say Uranium daughter products Xenon (Xe) and Krypton (Kr) present in the air. Beta particles and Alpha particles can not be measured by Geiger counters but they can be absorbed by the body through soft tissue, breathing, eating, or cut in the skin. These particles will cause cellular damage only if they have been absorbed by the body and are inside it. Beta particles: Iodine (I) gets absorbed by the thyroid and can problem to the thyroid but iodine outside the body cannot cause radiation damage. Caesium (Cs) another Beta particle is absorbed by the muscles known to effect the heart muscles in infants but can cause cancer tumours in muscle tissue. Strontium (Sr) is absorbed by the bones and is known to cause Leukaemia, Strontium can be absorbed through the skin and finds it’s way to the bone marrow. Alpha Particles are the biggest and massive of them all. Usually comes from Depleted Uranium and, or Plutonium which is a very powerful particle. Breathing plutonium will produce lung cancer. Half life: Is the time it take for particles to disintegrate by half. As a rule of thumb, it takes 10 half lives for a substance to disintegrate. So lets take Iodine as an example. Iodine takes 8 days to disintegrate by half, after 16 days only a quarter of it remains. Every 8 days whatever is there half of it disappears so in 80 days it is all gone. Caesium and Strontium have 30 years half life, so it takes 300 years for it all to disintegrate. The worst is Plutonium with half life of 24,000 years taking it a staggering 240,000 years for it to decay completely. Plutonium is hard isotope to detect, as it does not emit Gamma rays. But it is now known that Plutonium has been found at Fukushima along with radioactive water and there are growing fears of a core meltdown. Plutonium is present in all Nuclear reactors, not just in those using Mox fuel which is using a mix of spent Plutonium and Uranium. Highly radioactive water measured over 100 rem per hour, has been discovered in trenches outside the nuclear containment. This indicates a breach in the containment. Gundersen stated: “I think this water is leaking into the ocean. The quantity of radiation detected in the ocean is an indication of enormously large source of radioactive water hitting the ocean.” He doubts such high levels could be from air releases. There are many reason to support the idea, that damage to the core and containment has occurred and that large amount of radiation is and will continue to escape Fukushima with catastrophic effects all over the world not just locally in Japan. Today the possibility that Fukushima Unit 1 may be having a nuclear chain reaction is openly discussed. 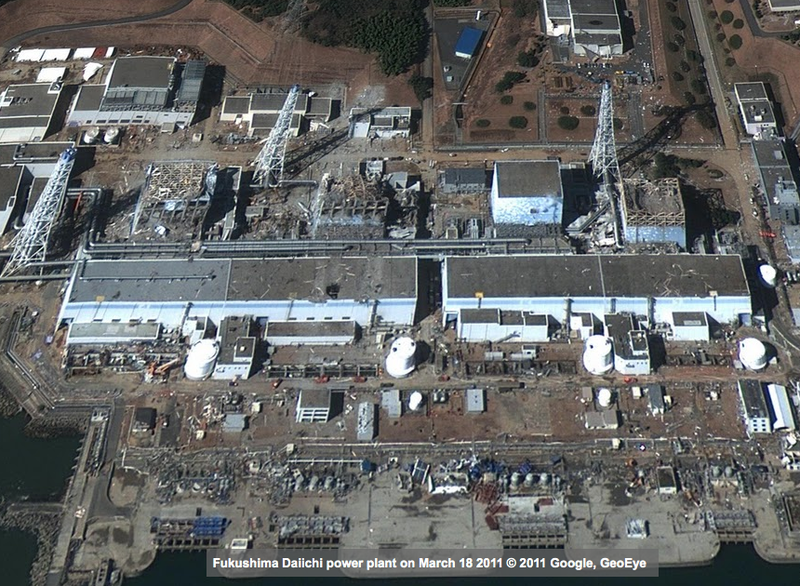 New data released by TEPCO the plant operator indicates that even though Fukushima Unit 1 was shut down during the March 11 earthquake, it appears to have "gone critical" again without human intervention. 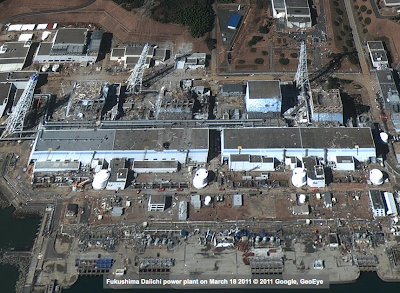 The detection by TEPCO of short-lived radioactive isotopes substantiates the existence of this inadvertent criticality. This week a reputable scientific paper was published on Japanfocus.org titled “What Caused the high Cl-38 Radioactivity in Fukushima Daiichi Reactor #1?” Where it discuses the discovery of an isotope called Chlorine-38, which does not exist in nature. On the 1st of April, TEPCO the plant operator published it’s own report where they presented that the isotope Tellurium 129 was found in Fukushima unit 1. Tellurium 129 has 70 minute half life and that according to Gundersen can only exist if Nuclear Fission is still going on. This isotope decays very quickly and should not have been found had the reactor has been shut down. The report also indicate 10 times higher levels of iodine 131 in Unit 1 compared with measurements in Unit 2 and 3. How safe are Nuclear power plant? 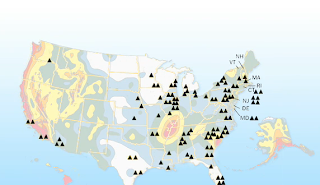 Despite the fact that most Nuclear Power plant are situated near fault lines and danger zones in the US the Nuclear Energy regulator stated the chance of earthquake damage is 1 in 74,000. That is 10 times more likely you will ever win $10,000 on the lottery in the US. 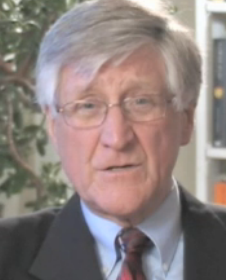 Dave Lochbaum spent 30 years as an expert in the Nuclear industry and is now campaigning for more harsher safety regulation. He is part of a the ‘Union of Concerned Scientist’ and claims the industry ignored his warning about the reactors safety design. He Published a book about it and now his fears come true in the form of the Fukushima meltdown. Lochbaum who lives 10 miles away from an aging Nuclear plant said he would like to see a very aggressive regulator to make sure no shortcuts are going on, but said: “we don’t have that effective regulator”. Nuscale Power wants to place a small nuclear reactor in your back yard and it is modular they boast, meaning you could have few of them... Smaller is safer experts say. But no one likes to talk of the issue of toxic waste. France is developing an Under water Reactors to be placed off shore at the bottom of the sea. ‘Flax blue unit made by an army contractor is said to be 2 years a way from reality.